Dawn Stow (@stowdawn), secondary English teacher, Head of Year and mother of two has just secured her first Associate Seat on her school’s SLT. 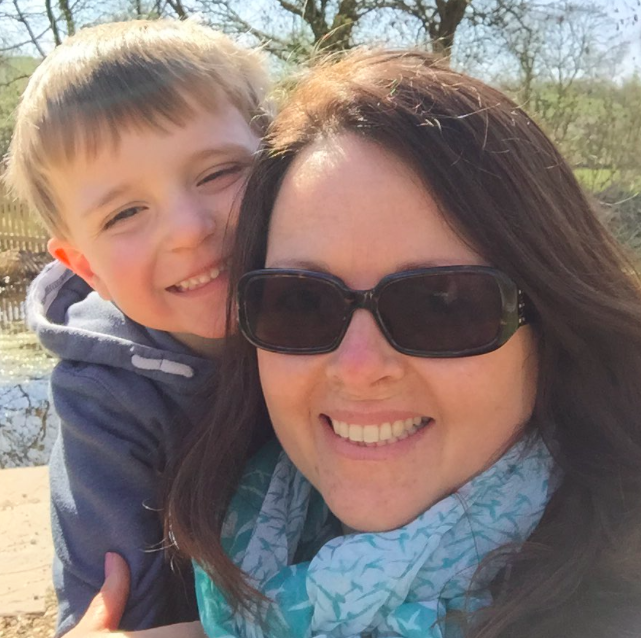 Here, she describes how she used volunteering and observations to take control and complete strategic CPD whilst on maternity leave, to support her ambitions of becoming a senior leader. In 2012 I became pregnant with my second child. At the time, I was teaching in a school where I was not particularly happy. The management of the school was looking to cut staff and so when I announced my pregnancy, I was offered voluntary redundancy. The package was fair and would see me through the year, and so I took it – actually, I snapped the Principal’s arm off! On leaving the school, I was told that I would make a ‘good little supply teacher’. My response was a simple one: ‘I will be a Deputy Head one day’, and with that, I left. I enjoyed the first half of my leave – snuggles, walks, taking my eldest to school every day – it was wonderful. However, during this time, I also hatched a simple, but what would prove to be a very powerful plan. I decided to develop my own CPD during this year ‘off’. I decided to focus upon two clear objectives: to see as many lessons as possible, across different subject areas, and to visit a variety of schools in my area tht were deemed to be ‘Good’, as I had only ever worked in ‘Requires Improvement’ schools. During the first few months I visited a number of schools where Headteachers, SLT, Heads of Faculty and teachers were welcoming and unbelievably generous with their time. Two things happened whilst visiting these schools: firstly, I found I could identify the ‘feel’ of a school, and secondly, I realised – due to the generoisty of teachers – that I utterly loved being a teacher – a love that I had questioned the previous year. … but the fairytale was not to be. I was not succesful, and it hurt: it really hurt. However, the Headteacher gave me a whole hour of her time on the day following the interview. She was amazing. She pointed out that I sounded like an Assistant Headteacher, but I was applying for a classroom teacher post, and this concerned the interview panel. At my next interview, I toned it down a little, and was told by the Chair of Governors that I should ‘never apologise for having ambition’. This interview was successful and oh my goodnes, has my career taken off again! During my year of parental leave, I was determined to cut my way back into the classroom on my own terms. I was prepared for the horrifying prospect of no job, but I kept my nerve: I didn’t just plum for any old school – the fit had to be right. Throughout the year, I was offered time from teachers who had very little; I was offered time in schedules with SLT members who had radios bleeping and email boxes brimming. My Mum’s support with childcare enabled me to follow my path, and all of these factors encouraged me to be braver and more decisive. These steps, taken whilst on maternity leave, were invaluable. I was brave whilst on maternity leave, and I continue to be brave now that I am back in the classroom.